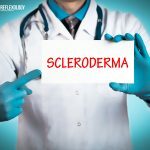 Edema is a type of swelling caused by water and excess fluid retention in the body’s tissues including the skin and it mainly occurs in the hands, arms, legs, feet and ankles. Edema is caused when the capillaries leak fluid into the surrounding tissues which cause the area to swell. It could be due to capillary damage or increase pressure in capillaries. 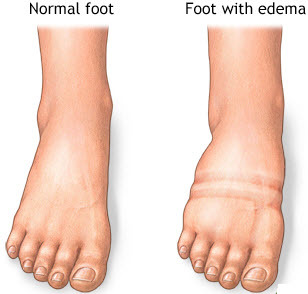 In certain cases, Edema may be a symptom of other serious diseases like kidney disease, cirrhosis, congestive heart failure which requires serious medical attention. 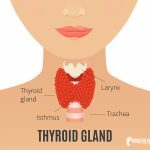 Other benign cases of water retention and swelling such as premenstrual bloating, puffiness due to congestion can be healed with the help of acupressure therapy. There are a number of factors that can lead to fluid retention and swelling of the body. According to ancient Chinese medicine and acupressure therapy, Edema or swelling due to water retention is caused due to weakness in the spleen and kidney meridians. 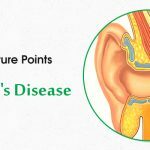 These particular pressure points can be stimulated to restore the proper level of water in the body and cure water retention successfully. Acupressure point SP3 or Spleen 3 is the most important point in acupressure treatment for water retention cure. This point is known as the Supreme Whiteness, and it is situated on the inside of the foot, in the hollow in between the big tone and the metatarsal bone, on the side of the foot. This point can be stimulated on both feet by applying steady pressure using the thumbs and fingertips for 1 minute. It helps to nourish the spleen meridian, relieve Edema, water retention, swelling and nausea. It also aids to relieve gastric pain, digestive problems, heart pain and heaviness and lassitude experienced in the lower body. Acupressure point KD 6 or Kidney 6 is a potent pressure point for treating swelling and water retention in body and it shows prompt results. This point is called the Shining Sea, and it is situated on the inside of the ankle, one chon below the inside of the anklebone, in the hollow. This point can be activated in both legs by applying firm and steady pressure to the points using the thumbs for 1 minute. It provides complete relief from water retention and Edema. It also helps to cure sore throat, digestive disorders, menstrual problems, eye problems, and epilepsy. This point nourishes the kidneys, clears the heat and calms the Shen. 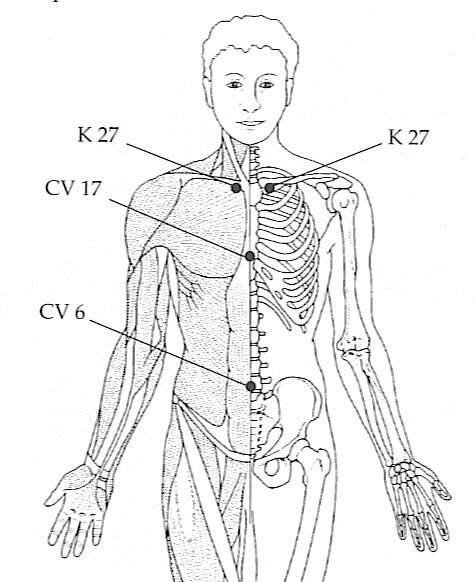 CV 6 or Conception Vessel 6 is another potent acupressure point that is extensively used for Edema treatment. This point is called the Sea of Energy, and it is situated two finger widths directly below the belly button. This point should be activated with great care. Place the fingertips of both hands between the belly button and pubic bone, in the lower abdominal area and gradually press one to two inches deep in the abdomen which taking long deep breaths for 2 minutes. It helps to relieve water retention, swelling, chronic diarrhea, constipation, and gas. 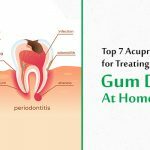 It is also a significant point for women’s health issues like menstrual problems and hernia and male problems like impotence and seminal emission. SP 9 or Spleen 9 is a powerful acupressure point for swelling treatment that provides complete relief from water retention. This point is called the Shady Side of the Mountain and it is found on the inner side of the leg, below the knee and under the large bulge of the bone. This point can be stimulated on both legs by applying firm and strong pressure on the points using the knuckles for 1 minute. It helps to relieve swelling, water retention, bloating, cramps, knee pain, leg tension and painful varicose veins. It is an important point for treatment of jaundice and hepatitis, yeast infections and candida and male problems. KD 2 or Kidney 2 is yet another powerful point of acupuncture and acupressure for water retention and swelling. This point is known as the Blazing Valley, and it is situated in the middle of the arch of the foot, at the midpoint between the outer tip of the big toe and the back of the heel. This point can be activated in both feet by applying strong and steady pressure to the points using the thumbs for 1 minute. It helps the relieve water retention and swollen feet. It helps to clear excess heat and aids to cure sore throat, post-menopausal problems, menstrual problems, diabetes and male impotence. SP 6 or Spleen 6 is a powerful acupressure point for treatment of water retention in the body that provides effective results. This point is also known as the Three Yin Crossing, and it is located four finger widths over the inner ankle bone, on the back inner border of the shinbone. This point can be activated on both the legs by applying steady pressure while holding the point with the thumbs and fingers for 1 minute. It relieves water retention, Edema and swelling. It also aids to cure menstrual problems, male impotence, digestive disorders, skin diseases, headache, dizziness and insomnia. This point should not be stimulated during the 8th and 9th month of pregnancy. 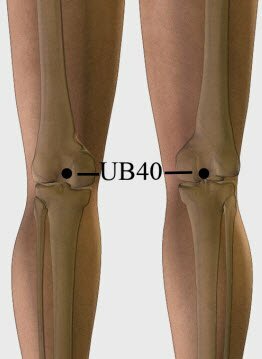 UB 40 or Urinary Bladder 40 is one of the most important acupressure points for treatment of Edema feet or swelling of feet. This point is called the Middle of the Crook, and it can be found in the middle of the transverse crease of the popliteal fossa, in between the tendons of muscle biceps femoris and muscle semitendinosus. This point can be activated on both legs by applying firm pressure using the thumbs, fingers, palms and knuckles for 1 to 2 minutes. 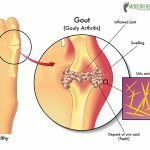 It is a potent point for pain in the lower leg, arthritis pain, fever, hair fall, lower back pain, abdominal pain, digestive problems, viral and bacterial infections. 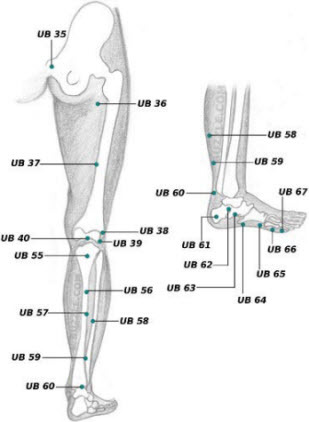 UB 55 or Urinary Bladder 55 is another important acupressure point which is especially useful for relieving leg swelling and water retention in the legs. 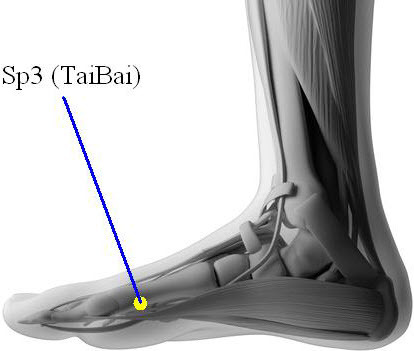 This point is also known as the Yang Union, and it can be located on the back side of the lower leg, 2 cun below UB40, on the line joining points UB40 and UB57. It is a local point for treatment of lower leg pain, knee pain, lumbar stiffness, numbness and weakness in the lower legs and hernia. It also activates the meridian and relieves male problems. UB 56 or Urinary Bladder 56 is a useful acupressure point that works as one of the natural remedies for water retention cure. 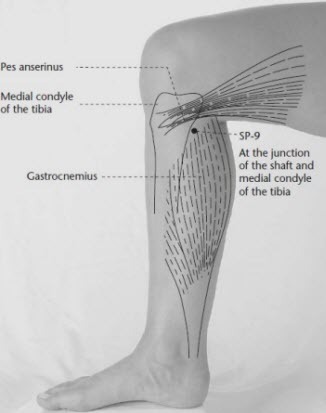 This point is termed the Sinew Point, and it is situated on the back side of the lower leg, 5 cun below the point UB 40, on the line joining the points UB40 and UB57, right in the middle of the muscle gastrocnemius. This point can be activated on both feet by applying strong pressure on the point using the middle finger and index finger for 1 minute. It not only alleviates water retention, swelling and Edema but also treats hemorrhoids, leg pain, spasms, heel and foot pain in a successful manner. The final acupressure point in the list of pressure points for treating water retention in body and feet is UB 57 or Urinary Bladder 57. This point is called the Mountain Support, and it can be found on the back side of the lower leg, between the points UB 40 and UB 60 when the toe is extended straight. Thing point can be activated on both legs by applying strong and firm pressure to the points using the knuckles for 1 minute. It helps to cure water retention, swelling bloating and Edema long with hemorrhoids, digestive problems, spasms and pain in the lower leg, paralysis and neurological disorders. So, now that you know the precise acupressure points that should be used to treat bloating and swelling caused by water retention, stimulate them every time you feel bloated in order to flush out toxins from the system and restore fluid balance in the body. very2 good idea n excellent tech. Excellent information. Thank you for pulling that together. I noticed you used an illustration from Michael Reed Gach’s work. Please give credit where it is due! Yes, sure we will look into it. Really very informative. But it is not clear whether is it necessary to activate all the points or a few points. It will be helpful this is clarified..
You can try all the points mentioned and see how it works for you. WANT To Purchase LOW-HIGH FREQUENCY TENS MACHINE..DOING.Acupuncturr& Hypno-Thearpy. My Wat App.no is 8718030077. Hi Chetna, you do not really have to apply any substance, just activate the points mentioned here.